I feel a little melancholy this morning, as we say goodbye to Sweet Cheeks teacher of the past year. She has been completely brilliant with and for him. And she has taught me a lot too. Fabulous teacher. Amazing lady. We will miss her. Very happy card! I love that little image! She is beautifully colored and looks like she could walk right off the page. Love the CAS approach to the card. 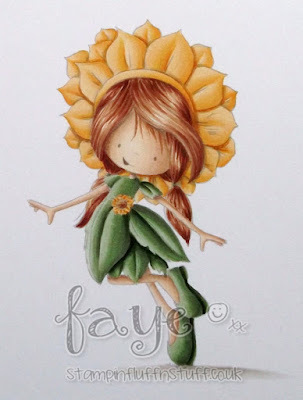 Awww she's lovely Faye. I love the no-lines colouring. I love Wryn. 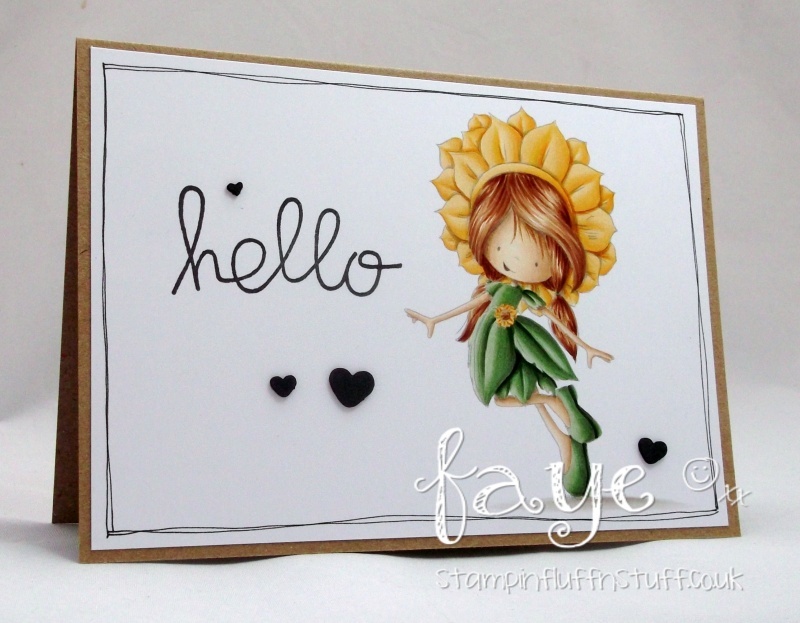 Gorgeous card Faye, love the adorable image and she's so beautifully coloured.